My new site offering traveling therapist jobs is now open for business. Every day I am adding more and more content and resources for the therapist interested in a travel job. We are not an agency, What we is give information on this career alternative and then try to match you up with an agency (or agencies) who have the sort of job and location that you are looking for. 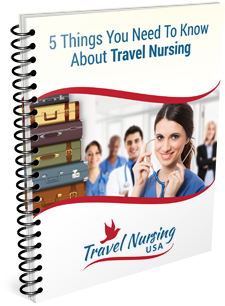 TraveltherapistUSA is a sister site to TravelnursingUSA one of the oldest and most respective travel nursing job sites on the Internet. If you are an agency who offers this sort of travel and would like to make your case to the travel therapist candidates, contact us and we will check you out! Are you a therapist who wants to travel? Then I have good news for you. In just a very few days I will be launching my new website dedicated to you and you alone. It will feature lots of resources and articles and answers to your questions on therapist travel jobs. So keep your eyes peeled. The site will be TravelTherapistUSA.com. And if you just can’t wait then subscribe to the "Weekly Top 25 Travel Therapist Jobs" and we’ll start emailing you exciting travel opportunities.